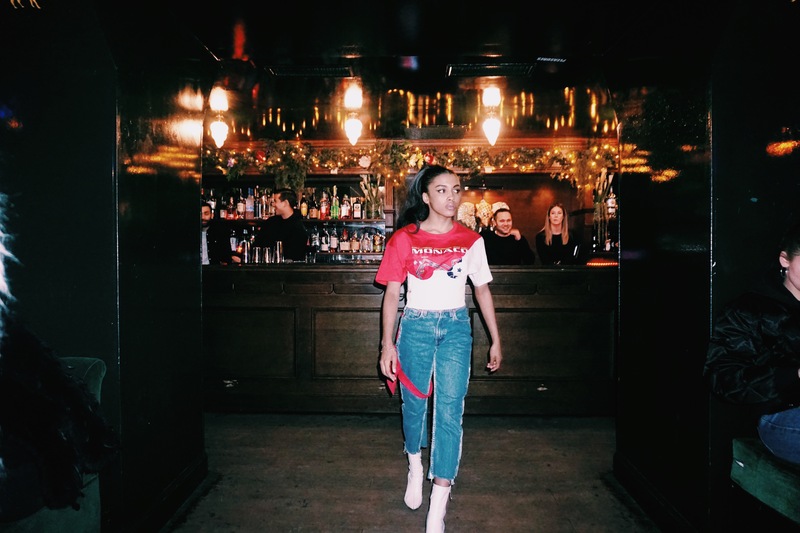 Infamous Vie's third edition: a combination of the fashion scene and the club scene. 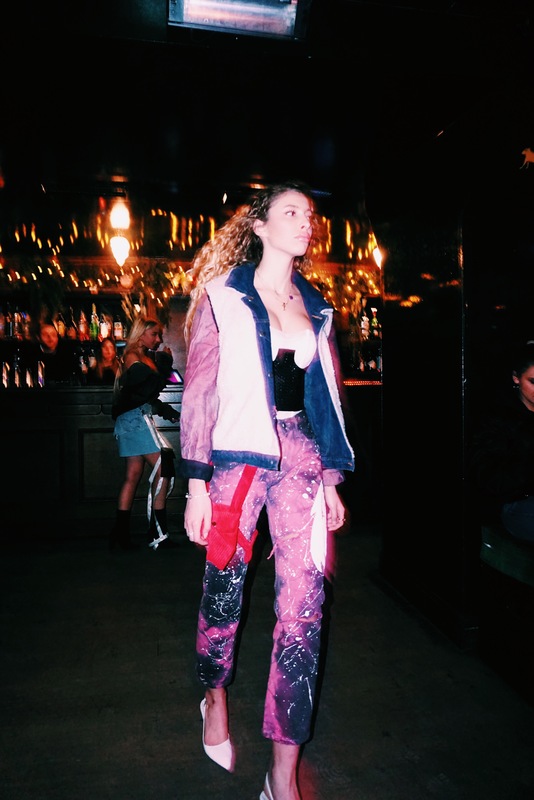 Models draped in chains, distressed-denim and even Christmas lights cascaded down the runway in a dark ivy-covered club at Infamous Vie’s fashion show on January 17, 2019, at 11 PM. Half of the crowd stood behind bar stools that fashioned the boundary between the runway and audience. Family and friends of the designers opted for the cushioned seats of the jungle themed club. 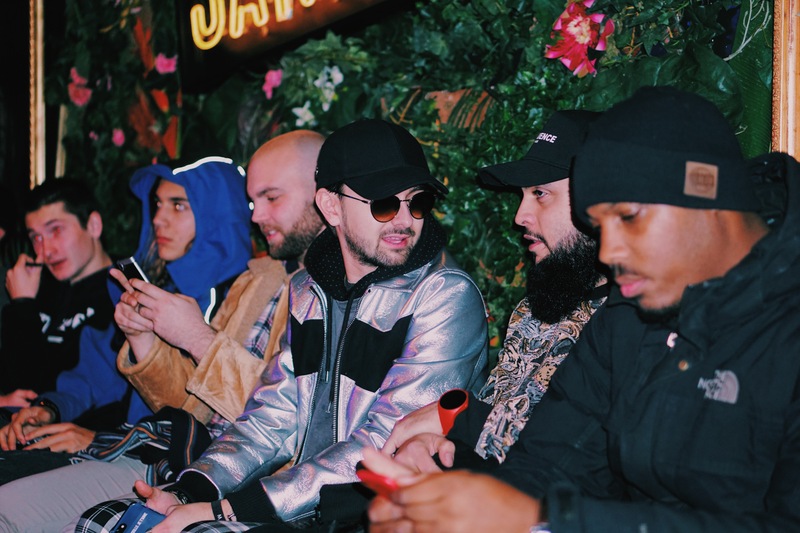 Audience members (many of which were dressed in similarly inspired streetwear garb) clutched their drinks while viewing the displayed clothing and were surrounded by European-tech music as the models paraded. 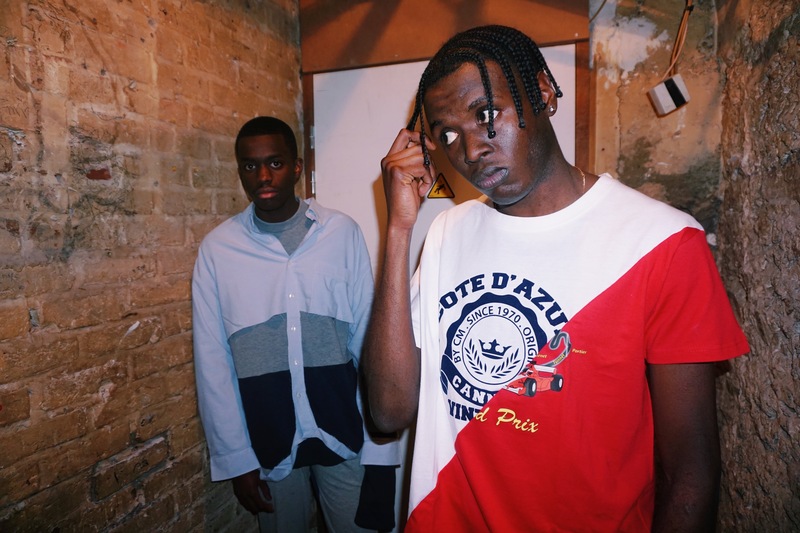 The Infamous Vie fashion show debuted their 2019 Clothing Collection yesterday during Paris Men’s Fashion Week. 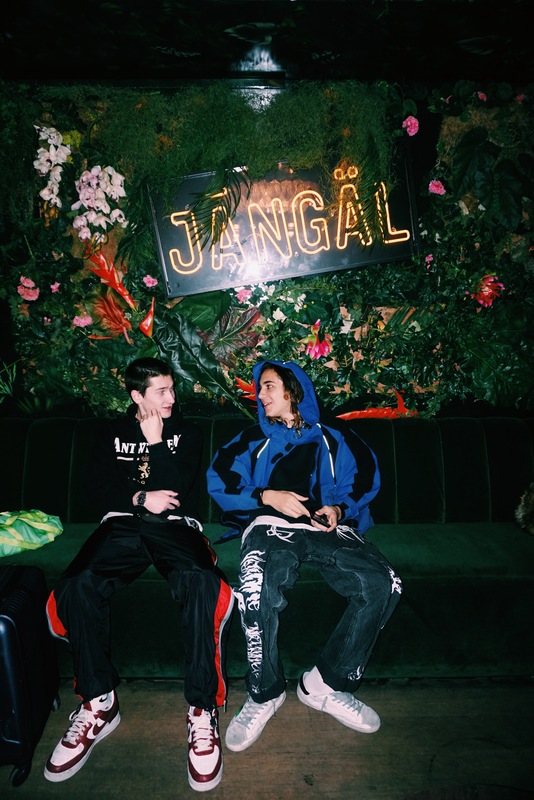 The show was in the first arrondissement of Paris at the club, Jangal Paris, and featured both men and women’s clothing. 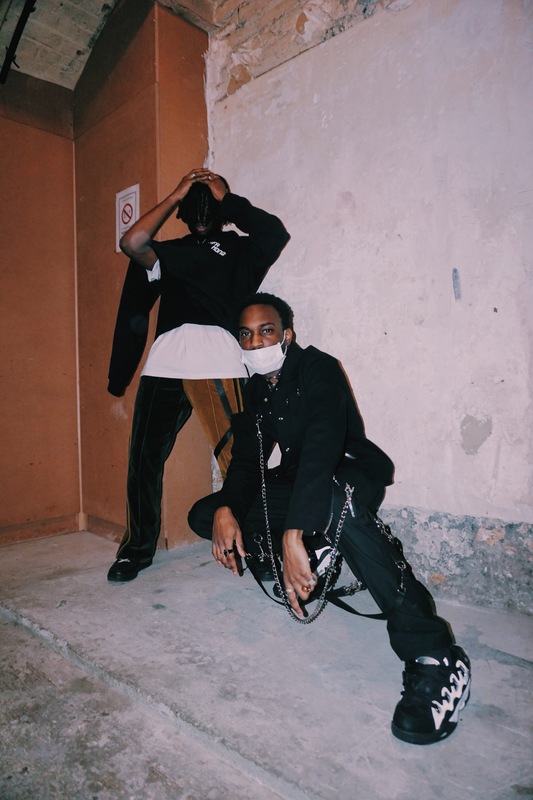 Since its initial release in 2016, designer Arafat Adekunle and his partner Léo Chamalet have been expanding Infamous Vie. 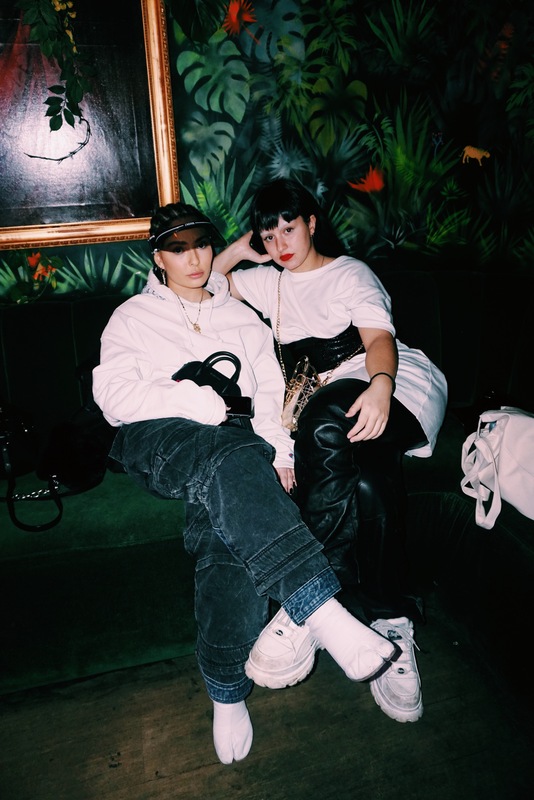 The student-led fashion line has gotten coverage in hypebeast.com, and now, they have upgraded their presentation style by renting out a Parisian club. Adekunle featured many black and white looks paired with denim. He also featured a new take brand's signature accessory, their double pouch accessory chest bag. In the look below they took a new approach, where they combined the popular fanny pack trend with their signature into a belt-attachable, over-the-pant leg garter. Arafat Adekunle, known as Harpy, stated one of his favorite pieces of the collection was the Côte d'Azur and Monaco combined red and white shirt because it features a feel of a "sunny yet winter experience." One of the most notable looks of the night, which the crowd seemed to especially gawk over was the all black cloth look one of the models sported. It was adorned with and dripping in chains, and communicated a goth-street style. The designers styled it with a sanitary mask. The title of the show was PACA, brand designer, Harpy, explained, “The name of the show was in reference to Provence and Côte d’Azur. We paid homage to this region because the South of France is where we designed and made the pieces,” Harpy went on to explain that this line is intended for all demographics, “We produced our designs to target everyone across various ages and financial capabilities.” The AUP grad shared that the line varies from €50-€500. 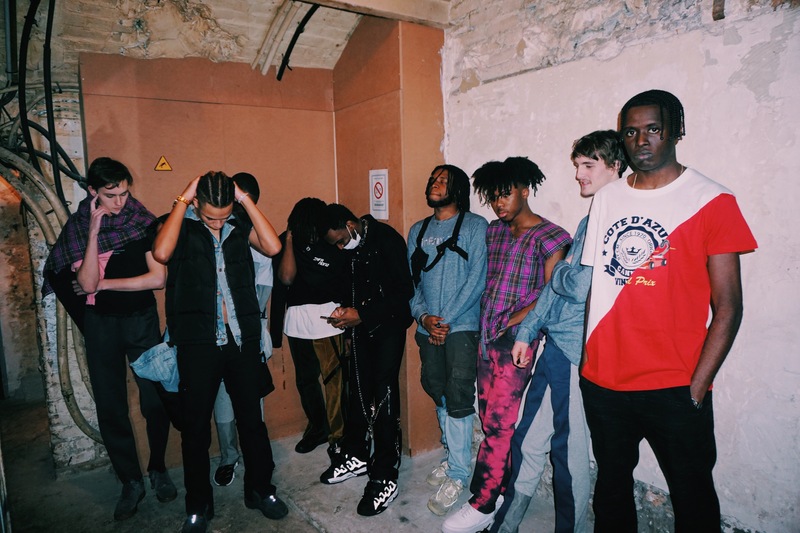 The line paid homage to a possible inspiration of Kanye West’s Yeezy Collection by playing On Sight, a track off of Kanye West’s Yeezus Album. This is their third fashion show. Infamous Vie often takes on unconventional environments. Their previous fashion show in 2018 took place in a garden setting. 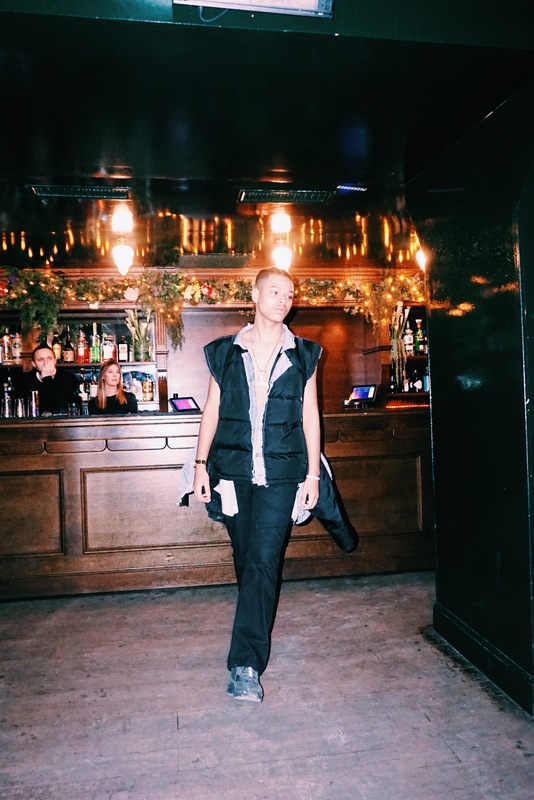 The brand took on a new concept with a club setting, choosing to present their looks in a dim-lit ambiance with club lighting to showcase their clothing. 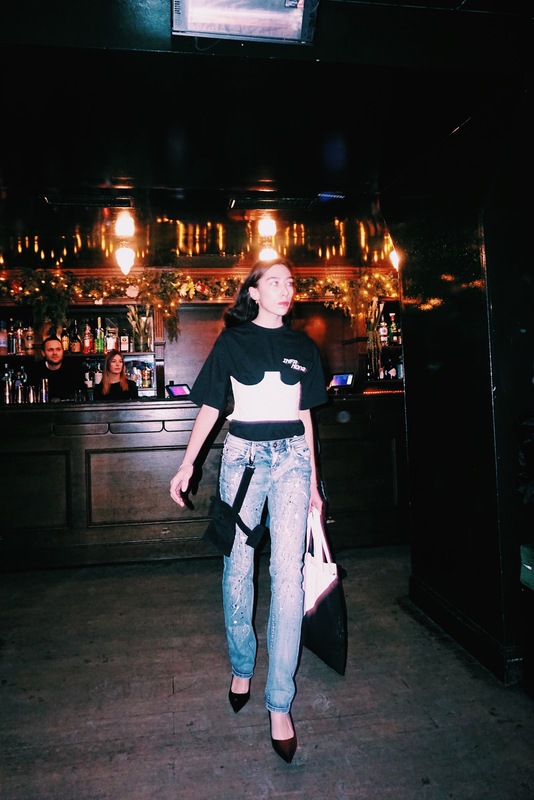 You can find their latest items on their website infamousvie.com and see the latest news, events and line drops on their Instagram. Leila Roker is a budding journalist at the American University of Paris. She's been published in publications such as Footwear News, Forbes.com and New York Minute Magazine, and is currently broadening her portfolio at the Peacock Plume.